Recently my friend, Andrew, introduced us to this new (?) beer made by Small Town Brewery called Not Your Fathers Root Beer. It is SO amazing. 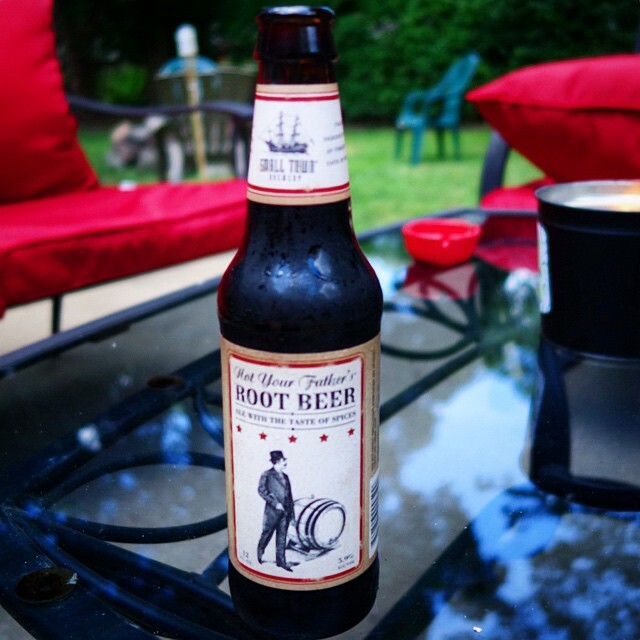 It doesn’t taste like beer at all really, but tastes exactly like root beer. It is delicious. The alcohol content is also pretty high, at 5.9 percent. Being what a light weight I am, I am pretty tipsy half way through 🙂 I’ve heard that it comes with even higher alcohol content, such at 10%, but this has been the only one I have been able to find, so far. We’ve found it at a few liquor stores around my area, in Secaucus, one in Rutherford and one on route 22 in Scotch Plains. I found it online, but the shipping was $40 for an $11.99 case!!!! F that. I really recommend that pretty much anyone tries this, even if you don’t like beer – like me! Next step is to make a root beer float with this! ← I finally started my food blog!